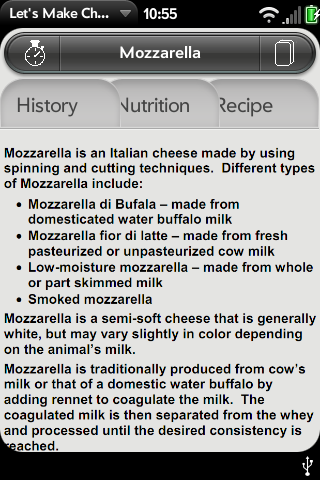 Fresh cheeses are intended to be made and eaten fresh, so why goto the store and buy old cheese when you can make them yourself. 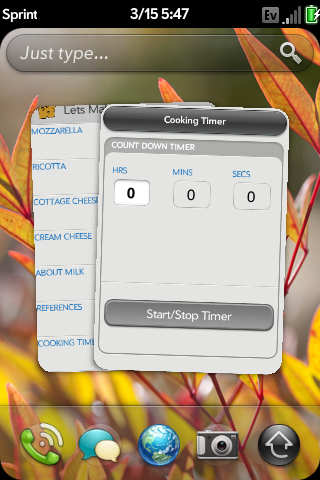 The Let's Make Cheese app provides simple recipes for common fresh cheeses along with nutritional facts and backgrounds for the cheeses. 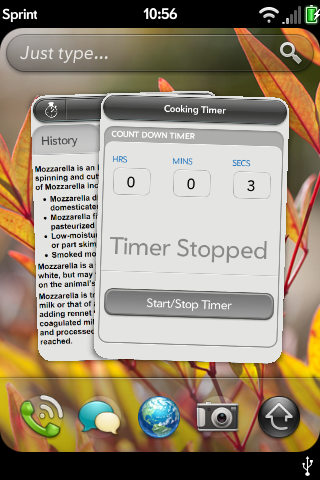 The app has a built in cooking timer that runs in its own card for use when making cheese, or any other need. 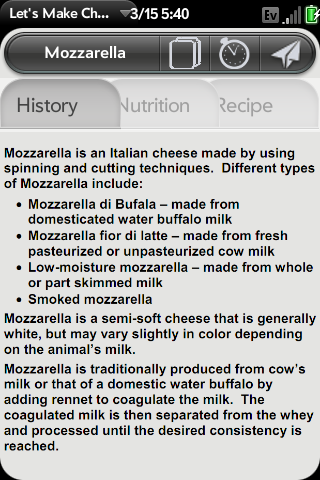 A cheese making reference guide is included to help with finding all the needed ingredients. 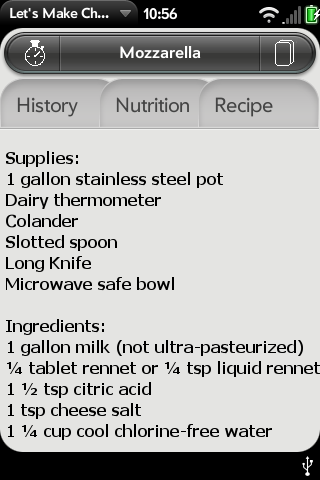 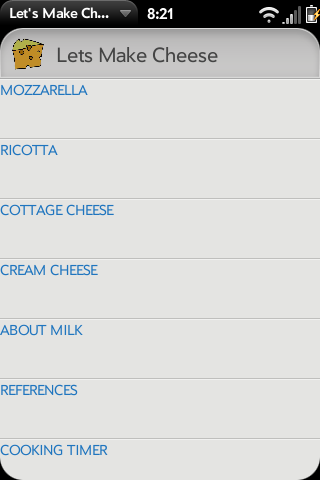 Let me know of additional dairy products you are interested in and I will look into adding them to the app! 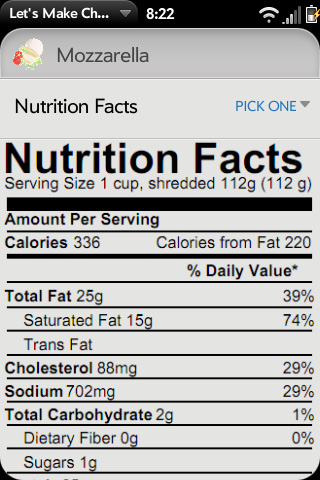 v1.09 ->Redesigned the UI, added ability to open additional cards. 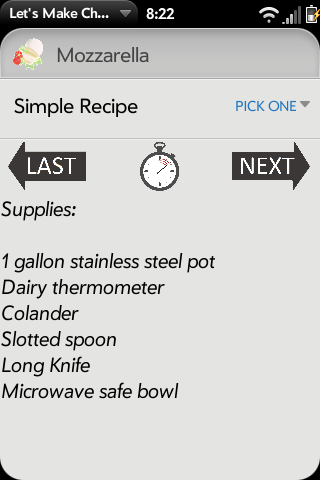 V1.1.5 -> adds the ability to email recipes, and some ui improvements. 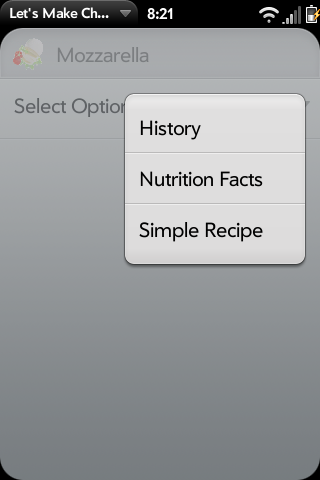 More recipes on the way!